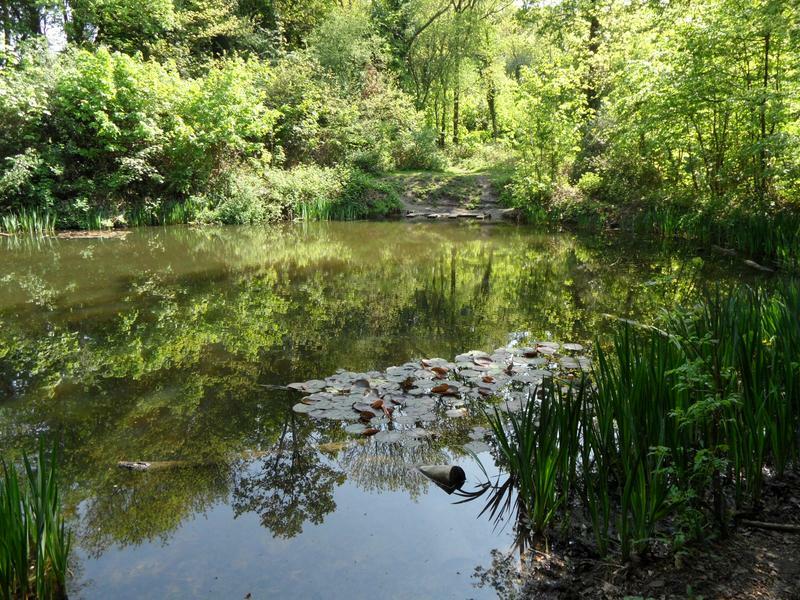 Bramley Bank Nature Reserve is 27 acres of dense woodland, with a natural pond, managed by the London Wildlife Trust. ducks, perhaps there is insufficient natural food and too few visitors with food. But there were millions of tadpoles in spring. park off Riesco Drive for Heathfield. Heathfield is a council training centre, with gardens and ornamental ponds open to the public. 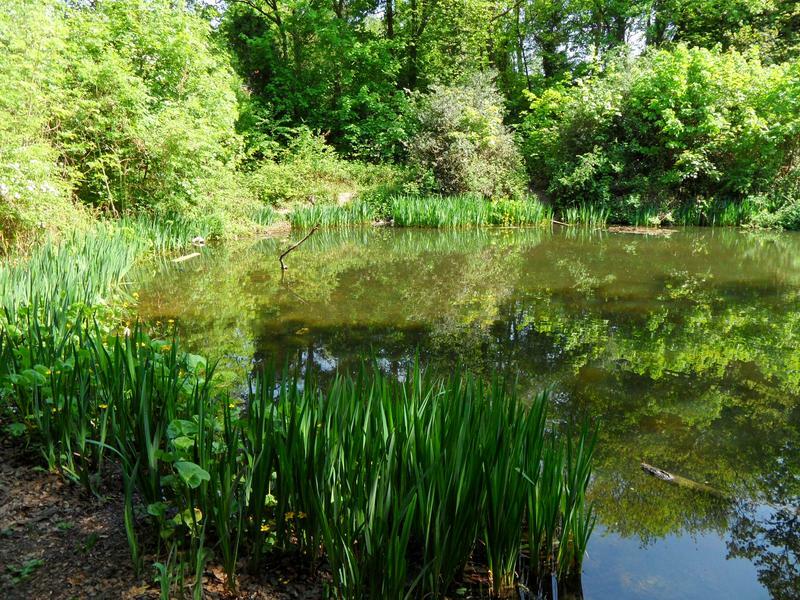 Wide view of the natural pond in Bramley Bank Nature Reserve. Another view toward to small beach area, lots of water lilies. 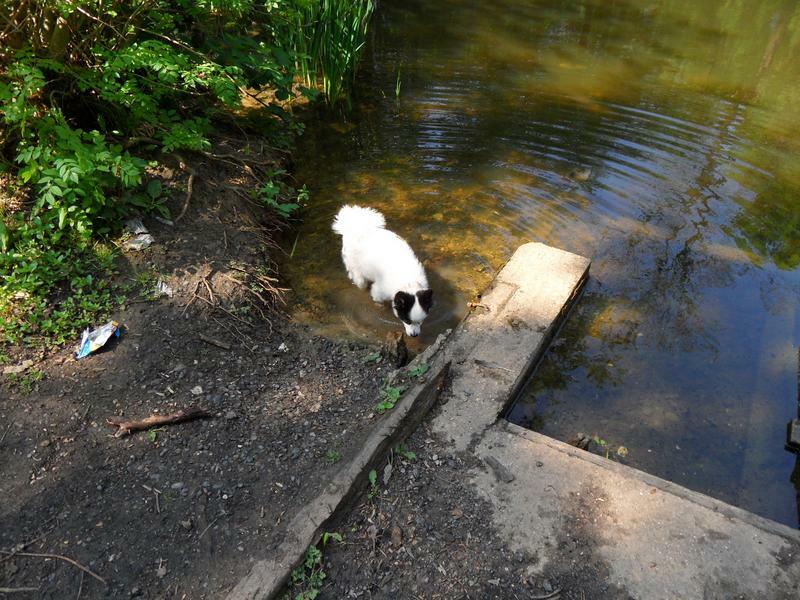 The only construction around the pond, no idea what it was, but a safe place of Lucy to paddle. Totally clear water full of tadpoles. 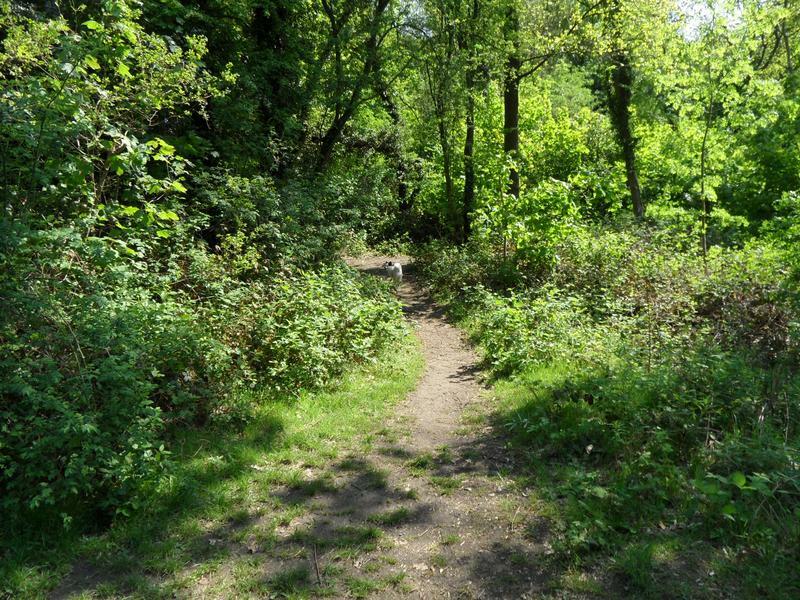 One of the wider footpaths running through Bramley Bank Nature Reserve.